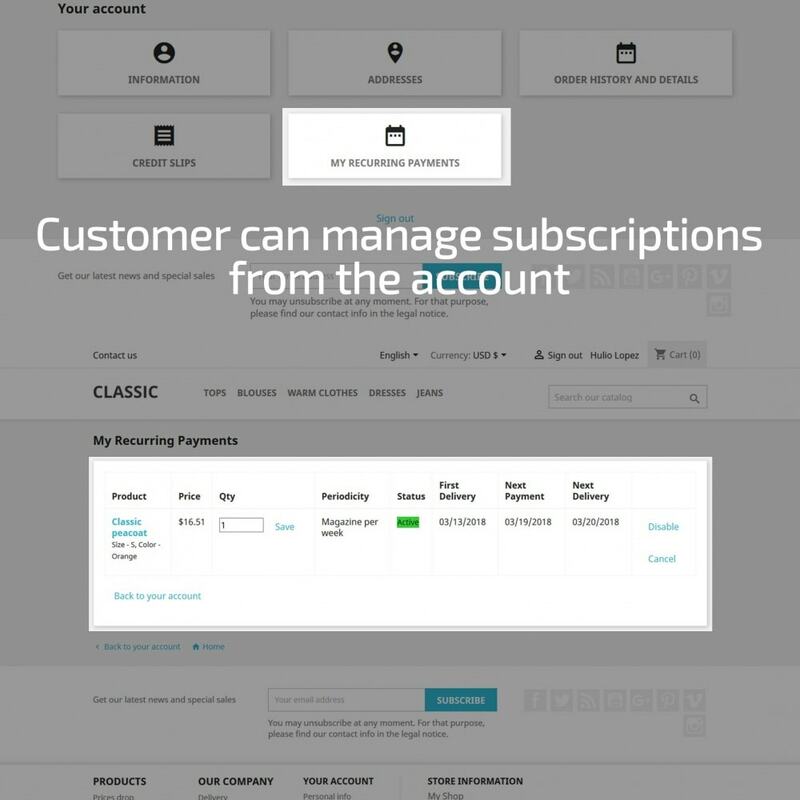 Help your customers not to switch to other shops and make regular purchases from you – Increase their lifetime value by attaching them with subscriptions. Receive customers’ gratitude for saving their time by means of automatic order generating and e-mail bill sending. 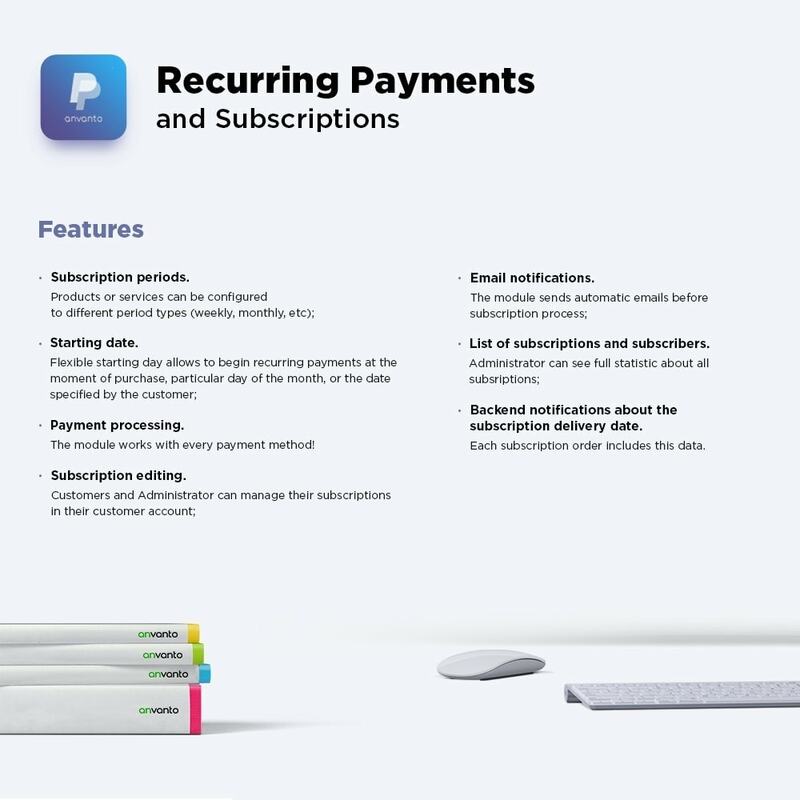 Subscription periods. 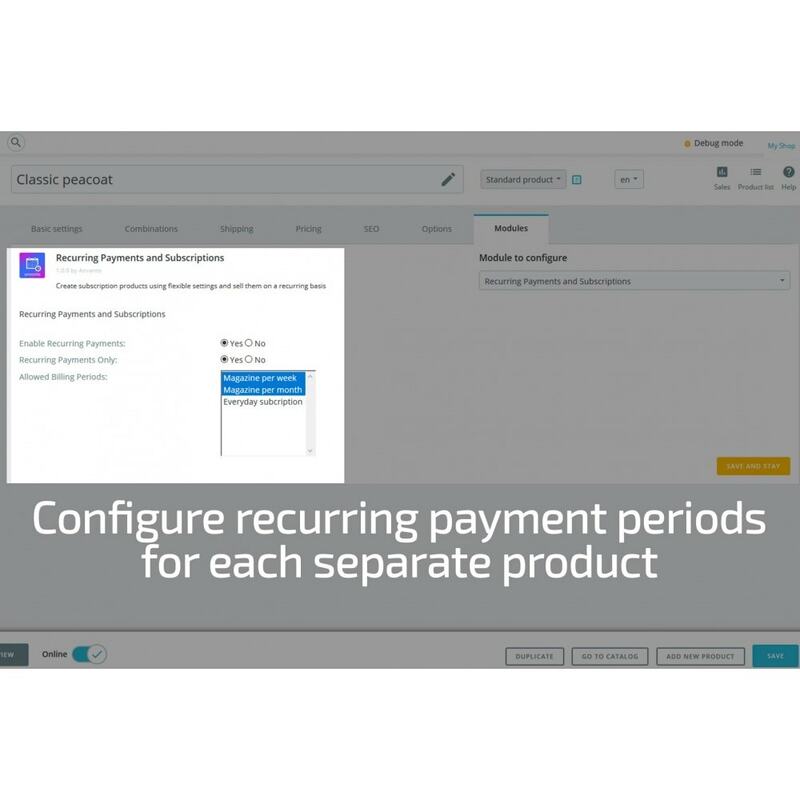 Just configure billing period (per week, per month, etc) and enable it in the product settings to start recurring payments and subscriptions. Payment processing. 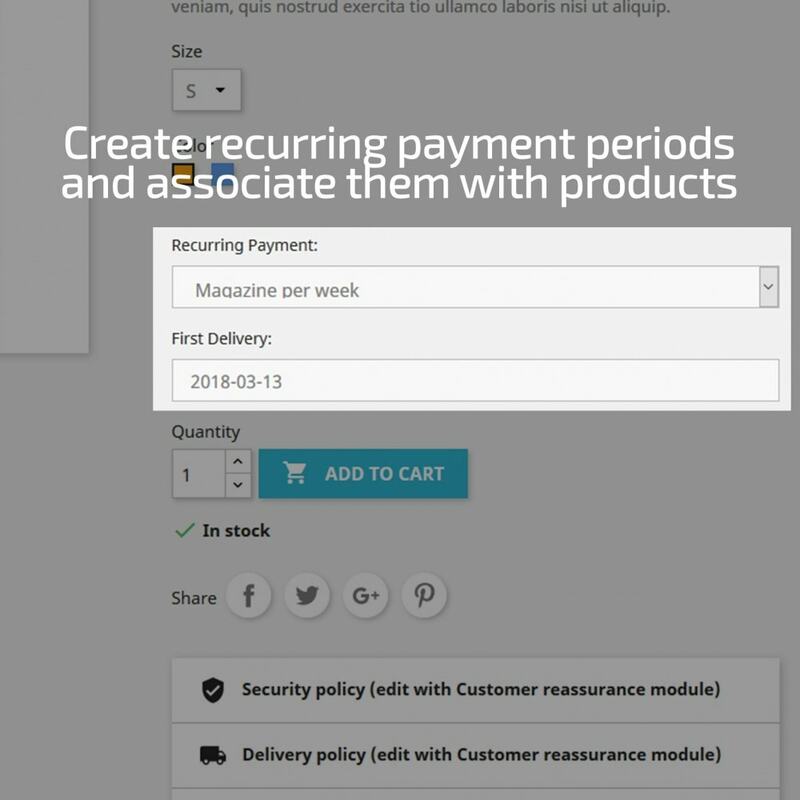 The module is compatible with any payment method. Subscription editing. 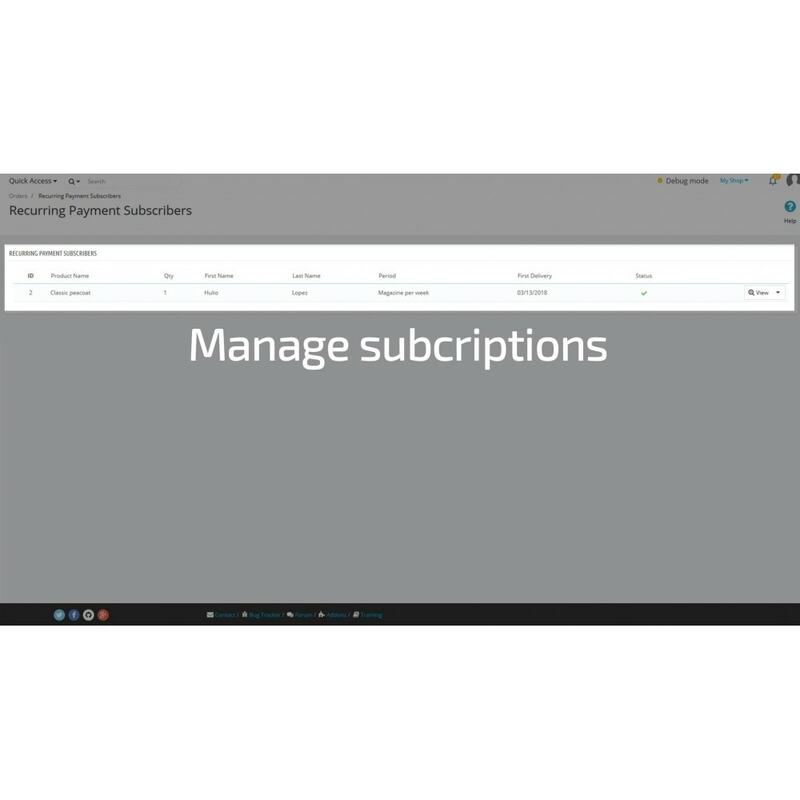 Customers and administrators can manage subscriptions in any moment. Email notifications. 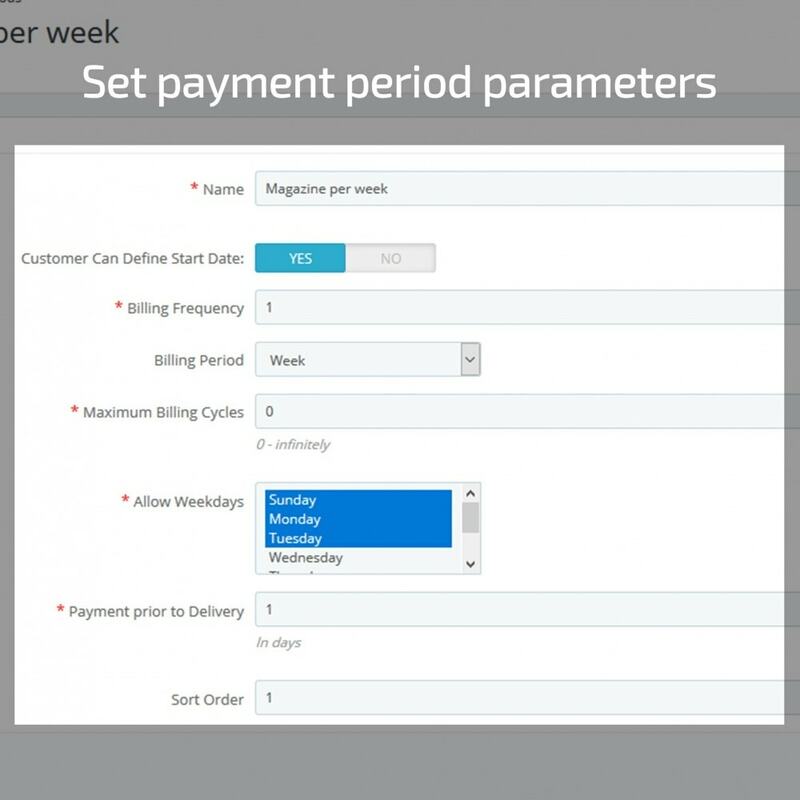 The module sends automatic emails when the day of payment comes. Subscriptions and subscribers lists. Administrator can see full statistics about all subscriptions. 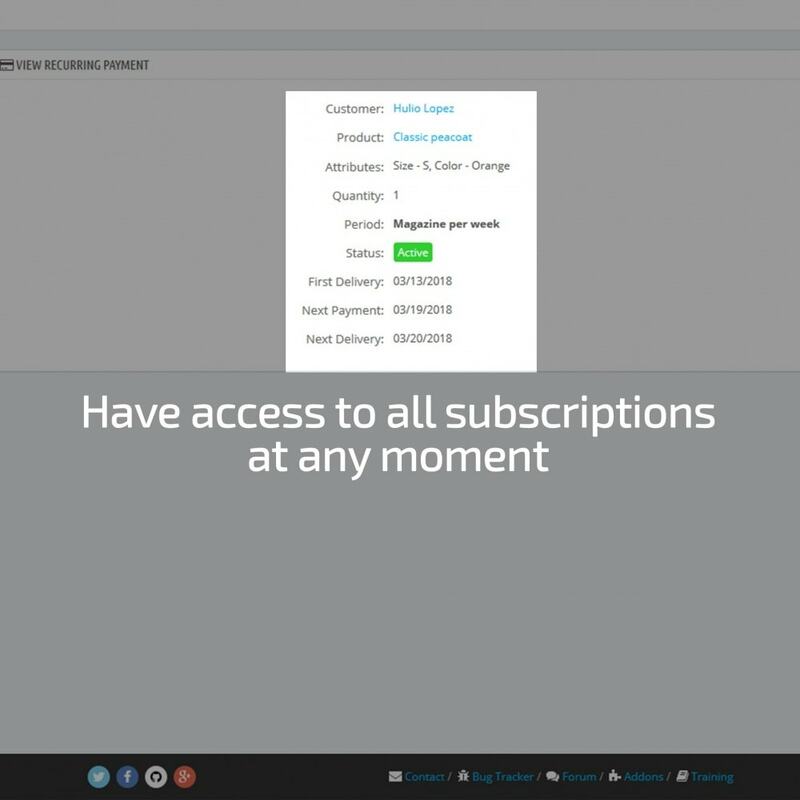 Backend notifications about the subscription delivery date. 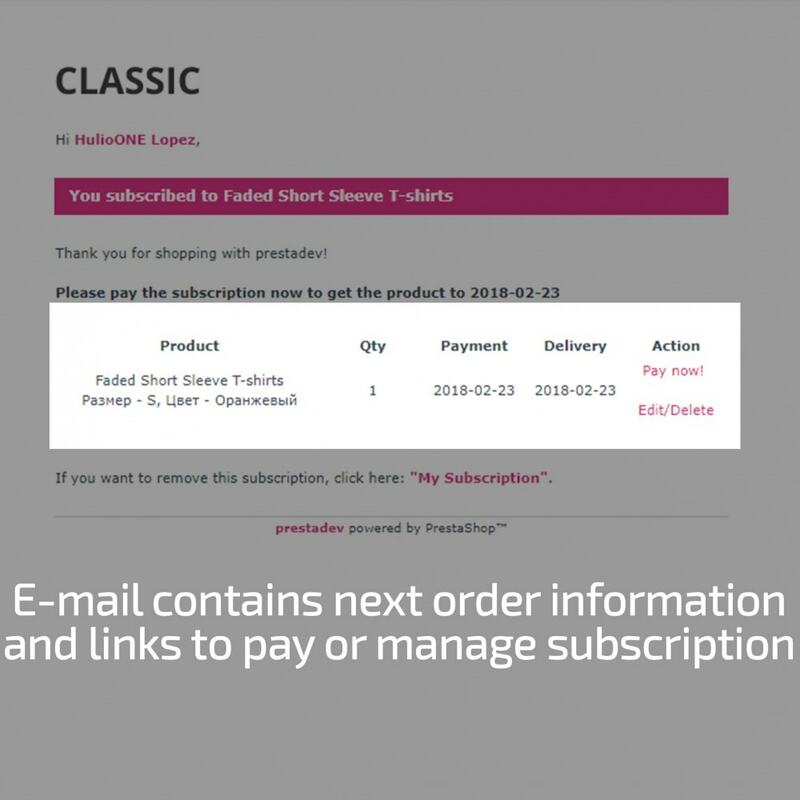 Each subscription order contains this data. 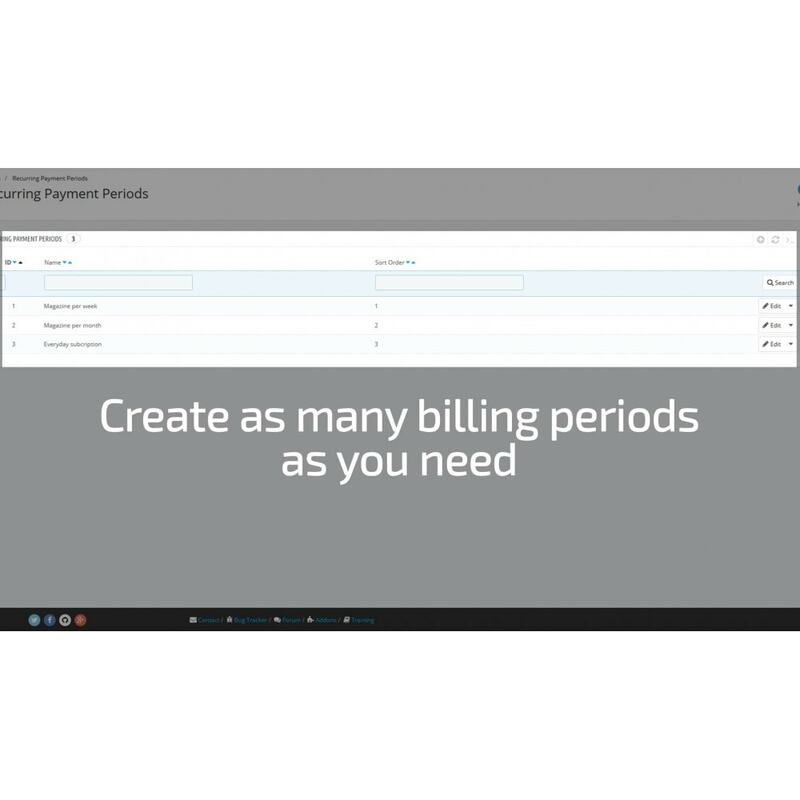 Bulk billing period activation. Do all products have the same billing period? Associate them with 1 click. Discounts for subscription products. If a product has a discount, it is included in the e-mail bill automatically. Thanks for the documentetion - settings was pretty difficult for me. Very well!! 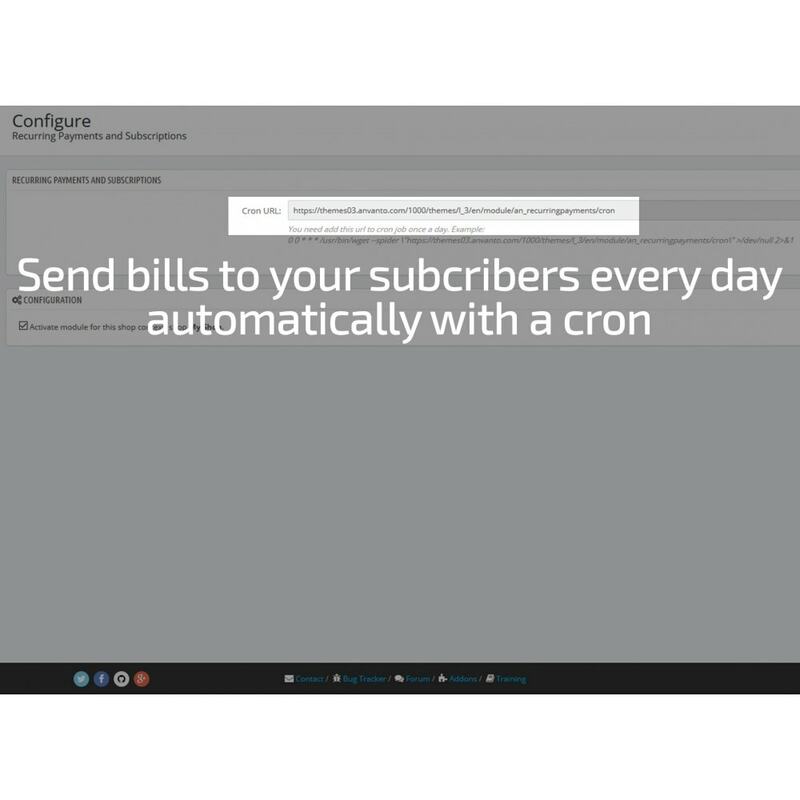 Thank you for advice to ask provider how to create a cron.